The news is essentially the build of the car is going to be put on hold for approximately 3 years. This is due to me changing jobs and in a couple of months myself and family will be moving to Japan until about the end of 2014. Which as you’ll understand will make working on the car a bit difficult. So in the mean time efforts are being dedicated to getting the chassis to a point where I can get it blasted and painted ready for storage. I’m nearly there with that and pictures will follow in time. I intend to carry on the design process for the body of the car and other outstanding items during the time away. Also I’m thinking of revising the chassis design to come up with the MkII version and fix all the bits I’m not happy with on the current version. I’m not sure who’ll build the MkII, it certainly wont be me as the MkI chassis is 95% there so I am stuffed if I’ll start again. But it seems somehow a shame to keep all the design work bottled up in one car, I’ll need to think some more on what that process might look like though. 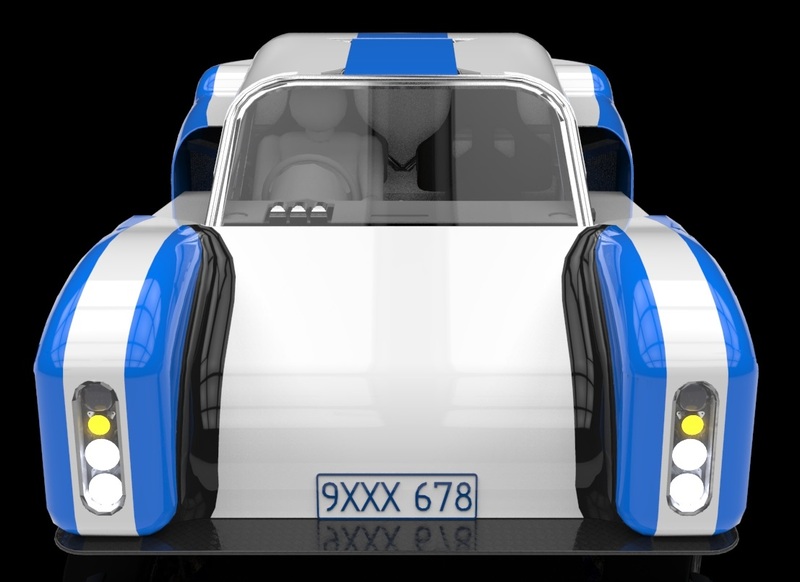 I had been determined to keep the car design to myself until it was constructed and running and proven to be worth the effort, if I do that now though it’ll be at least 5 years away before it see the light of day (i.e. a long time), on the other hand I don’t want to waste peoples time building something that turns out to be horrible to drive. I guess I’ll need to think some more on this. Thoughts?